Our phone lines went out on Friday and the first thing we did was call Bell Canada. Of course it was the weekend so we had to wait till today to have them come and look at the lines. So we sure had a quite weekend! 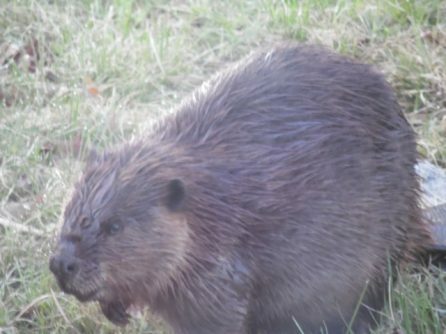 Seems that the Beavers and Muskrats have eaten through the lines which run under the water from Dave’s parents’ old place to the base. Bell is running a temporary line tomorrow over the shoreline till the ice goes out and then we will have to run a new line into the base. In the meantime we are sorry if our 800 number is not working and we may be down to only one line till spring. So if you are needing to get a hold of us Dave’s cell phone is 218-417-0580.